Brigitte Bardot offers to take Sea Shepherd founder's place in prison. Brigitte Bardot, the actress and animal rights campaigner, has offered to take the place of the founder of the Sea Shepherd marine conservation group in prison. "Being outraged by the fact that he's been put in prison, I offer to take his place because I am his accomplice," Bardot, 77, said in a statement. "I have always supported Paul Watson, my brother in arms," said the retired French actress who had a Sea Shepherd trimaran named after her in 2011. Watson was passing through Frankfurt with French European Parliament members Daniel Cohn-Bendit and Jose Bove on his way to France to attend conferences when he was arrested. Bardot has over the years campaigned against whaling in Japan, bear-hunting in New Jersey, wolf-hunting in Sweden, dolphin slaughter in Denmark and other animal rights causes. She is married – for the fourth time – to a former aide of the founder of France's far-right anti-immigrant National Front, Jean-Marie Le Pen. She has been fined for inciting hatred against Muslims by attacking the "Islamisation" of France and the ritual slaughter of animals in Islamic culture. This morning at 10 am CET, there was a 20-minute Press Conference held by the Sea Shepherd Conservation Society (SSCS) at Frankfurt International Airport. Present Peter Peter Hammarstedt, Scott West, both lawyers, about 15 supporters and Press from various agencies. Peter once again explained the causes which led to Paul's arrest and reiterated that Interpol would not confirm the extradition request as they consider it to be politically motivated. The Sea Shepherd Conservation Society (SSCS) is a non-profit, marine conservation organization based in Friday Harbor on San Juan Island, Washington in the United States. The group uses direct action tactics to protect sealife. 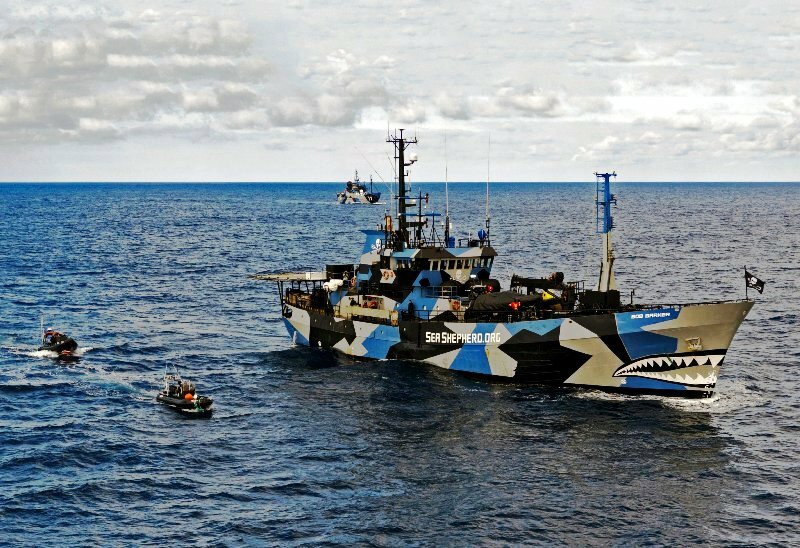 Sea Shepherd currently operates the vessels MY Steve Irwin, the MY Bob Barker, and the, and most of the group's recent activities take place in international waters. The group has a strong focus on public relations to spread their message via the media. The Bob Barker with the Steve Irwin to the rear. The organization was founded in 1977 under the name Earth Force Society by Paul Watson, a former member of Greenpeace, after a dispute with that organization over what Watson saw as its lack of more aggressive intervention. Watson purports to be a co-founder of Greenpeace, a claim vehemently denied by that organization. Sea Shepherd has received support for its tactics against fishing, whaling, and seal hunting from quarters such as media personalities, while critics have called the direct action violent. Operations have included scuttling and disabling whaling vessels at harbor, intervening in Canadian and Namibian seal hunts, shining laser light into the eyes of whalers, throwing bottles of foul-smelling butyric acid onto vessels at sea, boarding of whaling vessels while at sea, and seizure and destruction of drift nets at sea. 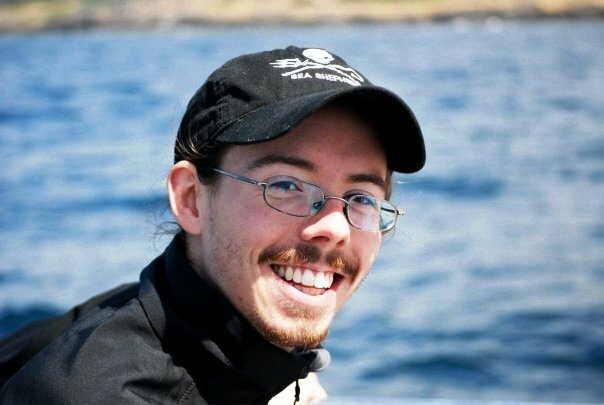 Sea Shepherd claims that their aggressive actions are necessary as the international community has shown itself unwilling or unable to stop species-endangering whaling and fishing practices. The American, Canadian, and Japanese governments, as well as the Institute of Cetacean Research of Japan, have referred to them as terrorists.